A brand new folding Paintbox that incorporates a host of features that makes this product a must for any artist that paints 'en plein air' in particular as well as the studio artist. A sturdy, lightweight compact box that has ample deep wells for mixing washes plus a removable central compartment for paints in both tube and pan format. 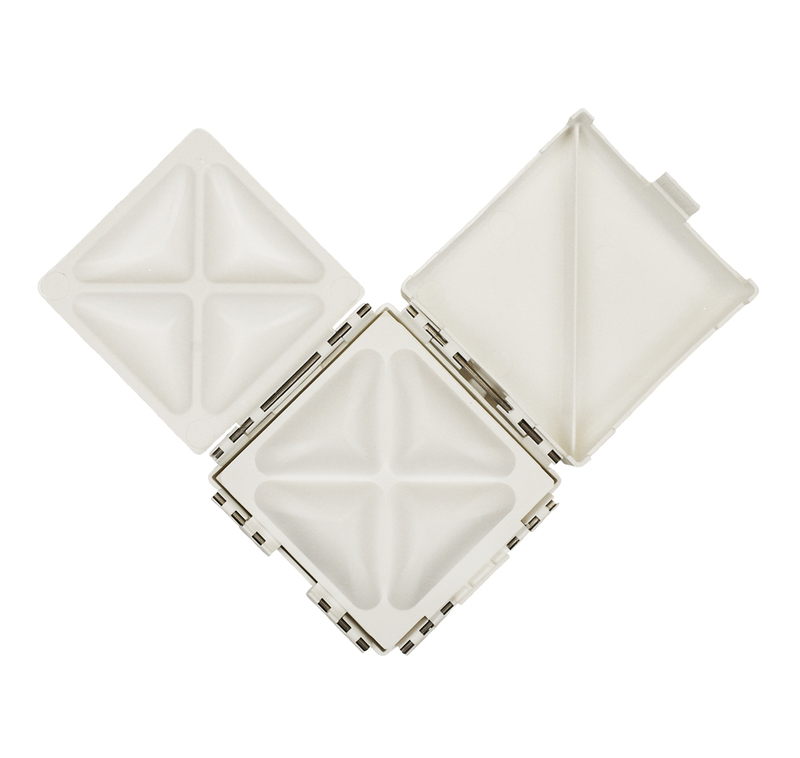 Made from durable, high impact plastic that is also easy to clean. 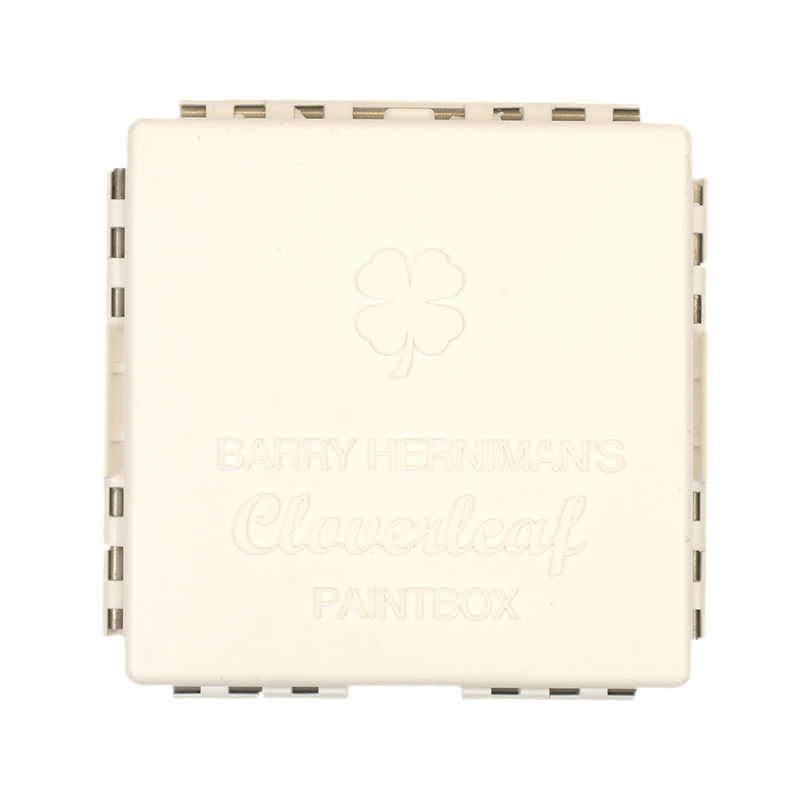 Spare inserts for the Colverleaf paint box are also available. 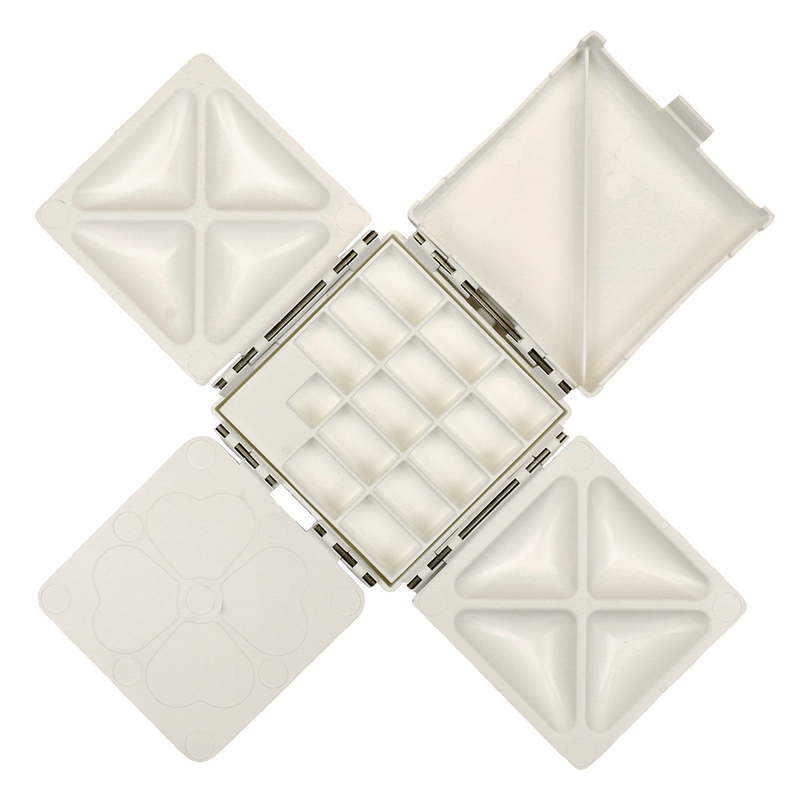 - 2 trays with 4 deep mixing wells in each. 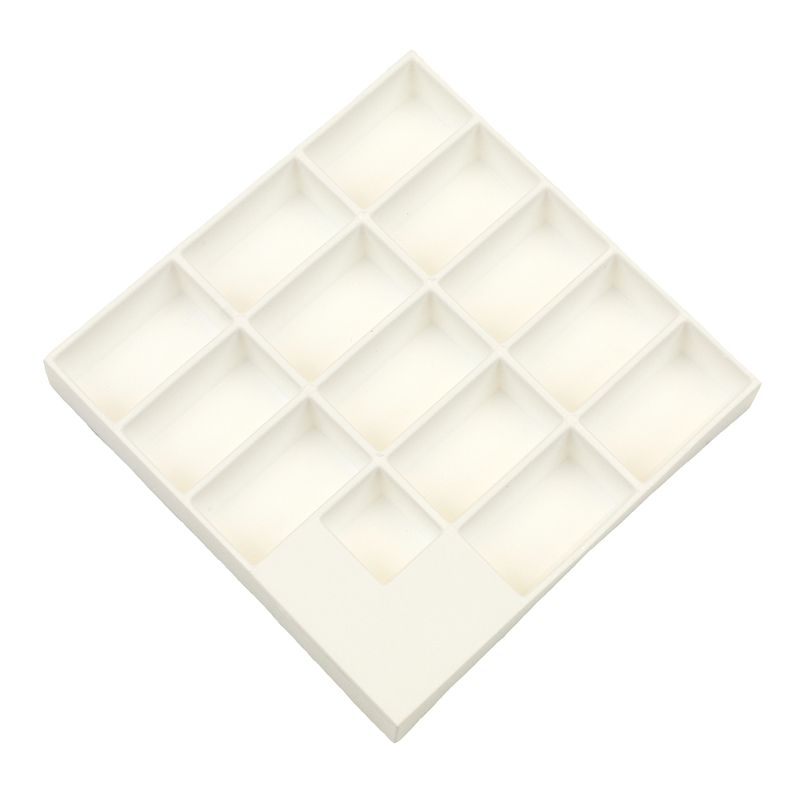 - 1 flat mixing tray which also forms a top on the paint compartment when closed. 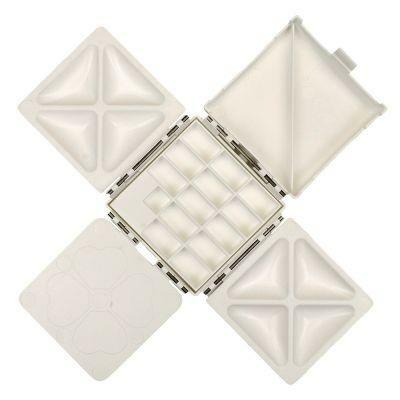 - 1 deep lid that incorporates 2 deep mixing wells. 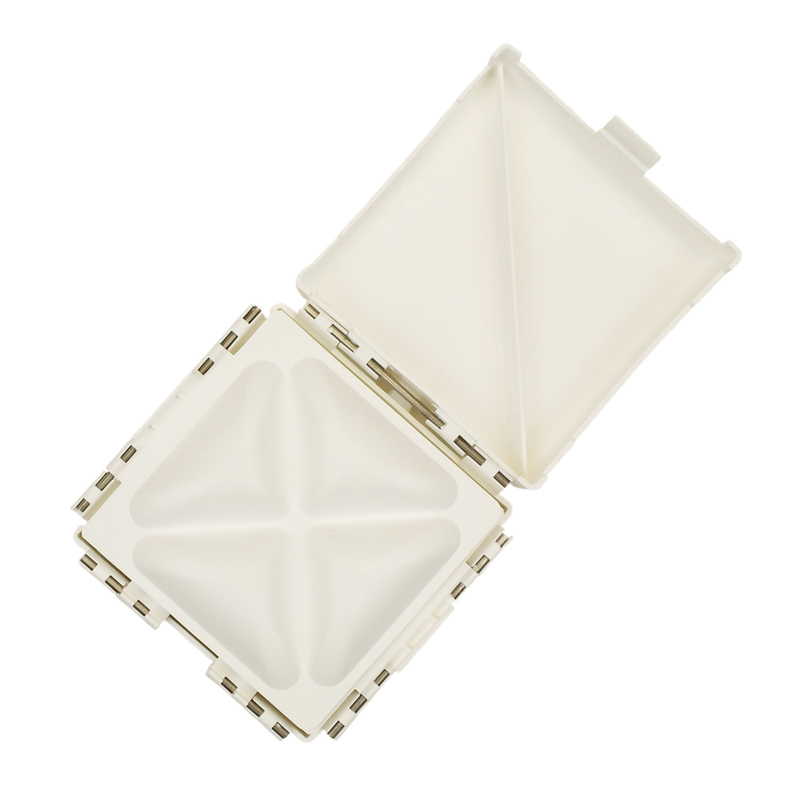 - A removable central paint compartment with: 13 deep wells ideal for squeezed tube colours as well as full and half pans. 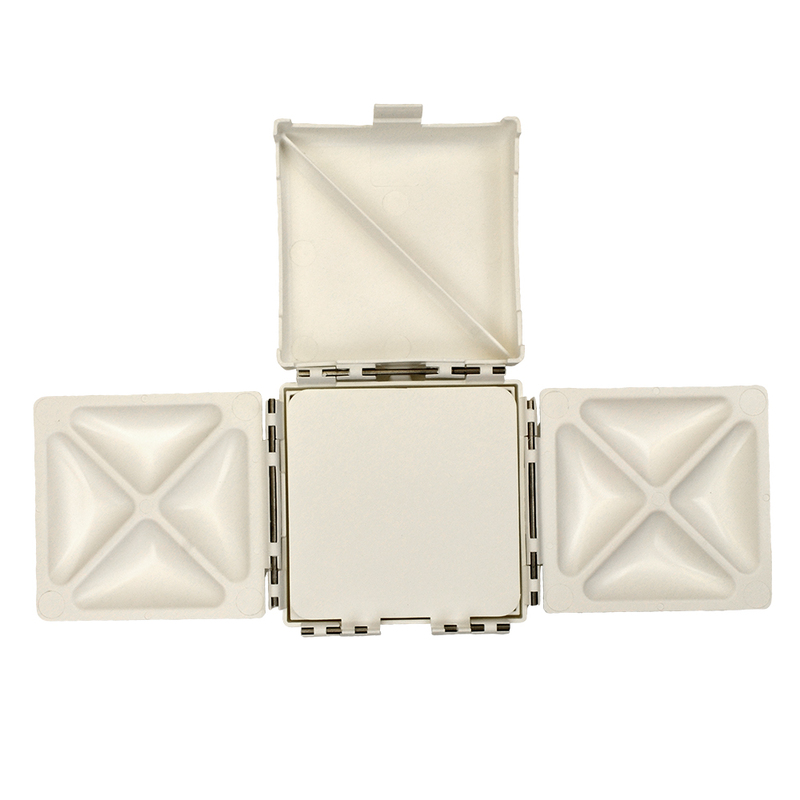 - A universal thumb plate for both left and righthanded painters. Note from the manufacturers about fitting empty pans into the Cloverleaf Paint Box: - "The only whole pans and half pans that fit perfectly in the paint box are those made by Winsor and Newton. Winsor & Newton old semi used pans fit in the palette and won't come out. If you are using a new pan then paint the sides with watercolor paint let it dry and push it in." If you want to use tube colour, it can be squeezed straight into the palette. The empty pans we sell on this web site to use with tube colour do not fit in this pallete. Ken Bromley's replies: The Box was designed to take tube colour directly into the small wells. Some plastic pans fit in the cloverleaf box, but the fit is not perfect.